First Bra Gallery - Finding the entire experience of training bras completely confusing and overwhelming? Not to worry, you're not alone! There are so many myths and misconceptions out there when it comes to bras that finding the right style for a preteen can be overwhelming, especially when you’re new to the game. Follow along as we address the 7 most common first bra myths and how to handle them (it's easier than you think). A woman’s lingerie drawer is often filled with countless colors and styles of beautiful lingerie and bras, but this is definitely not the way you need to get started. With preteen lingerie we recommend the acronym, KISS - keep it simple (and) sensational. 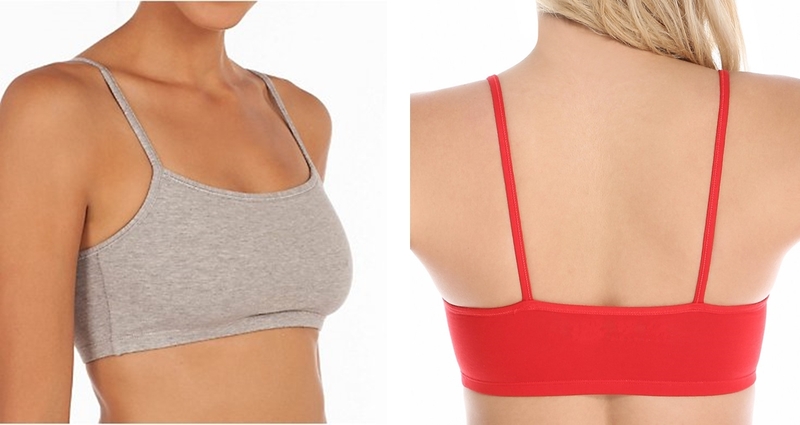 When you’re just starting off with first bras all you need are one or two styles to cover the basics. Save the vast collection for when you’re older and know which styles and colors you really enjoy. 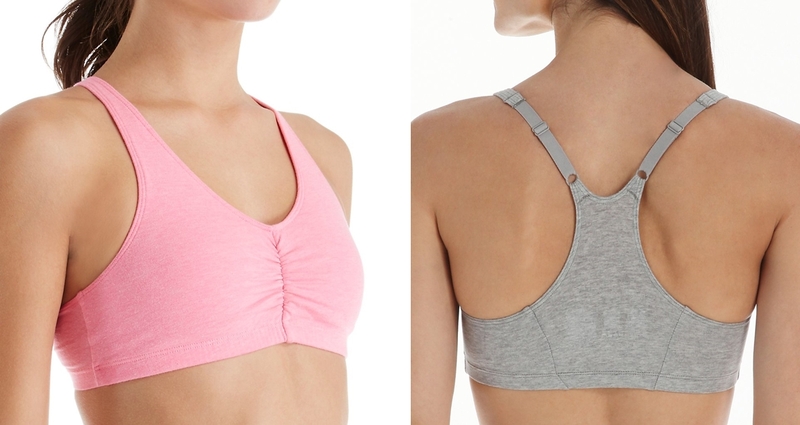 Not all training bras need to be bland and boring. Keep the style and color simple so that it’s as versatile as possible but look for pretty details and trims to keep your it looking cute and trendy. Look for lace or delicate bows between the bust or pretty satin straps – those extra little flourishes will make your bra feel special and exciting to wear. No matter what size you are, a first bra should be an easy and comfy style that you can wear every day. 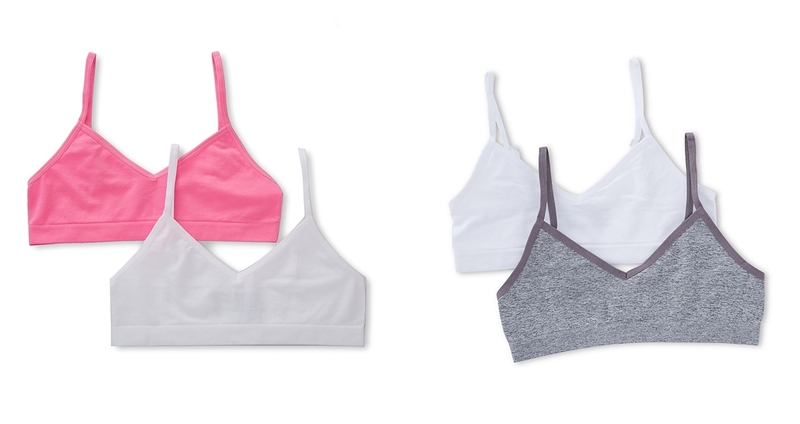 Lightly lined cups are the perfect choice for keeping you covered and comfortable. Don’t make the mistake of thinking you need to boost your bust or look bigger than you are with bulky padding. You’ll fill out as you mature and don’t need to fake it in the meantime. Young girls can be ultra sensitive when it comes to the changes in their bodies developing and maturing, so it is important to be kind and most importantly, patient. With all of the options available there’s no reason why your first bra can’t be completely comfortable to wear. Girls are often nervous about how they’ll look when wearing their first bra – will everyone be able to see it? Will it be noticeable? The right bra should disappear completely under your clothing and can be your special secret, if you choose the right one. How? Look for a color that matches your skin tone as closely as possible, and stick to smooth, seam-free microfiber cups for a sleek look that no one will see. Despite what you may have heard, shopping for a training bra does not have to be an impossible task. If you're not sure about bra sizes and styles, it may be a good idea to get some professional help when you arrive at the store. Ask a sales associate for help in finding the right fit and in identifying what your options are. You’ll have all of your questions answered and can leave all the hard work to the experts. Every girl has a different size, shape, and personal style, so never feel like you’re limited to buying the same bras as your friends are. Take the time to find a style that you love, something that you feel comfortable and confident in, and something that makes you feel special when you pull it out of the drawer each day.